So here’s our list of hot travel destinations for 2019. Some you’ll have heard of. Others you’d struggle to pin on an Atlas. All of them are set for a bumper year. It's hard to believe the Arab Spring revolution was seven years ago. Unsurprisingly, Egypt visitor numbers took a dip in 2011 (burning tanks in the street tend to have that effect), but canny travellers have been taking advantage of the bad press. 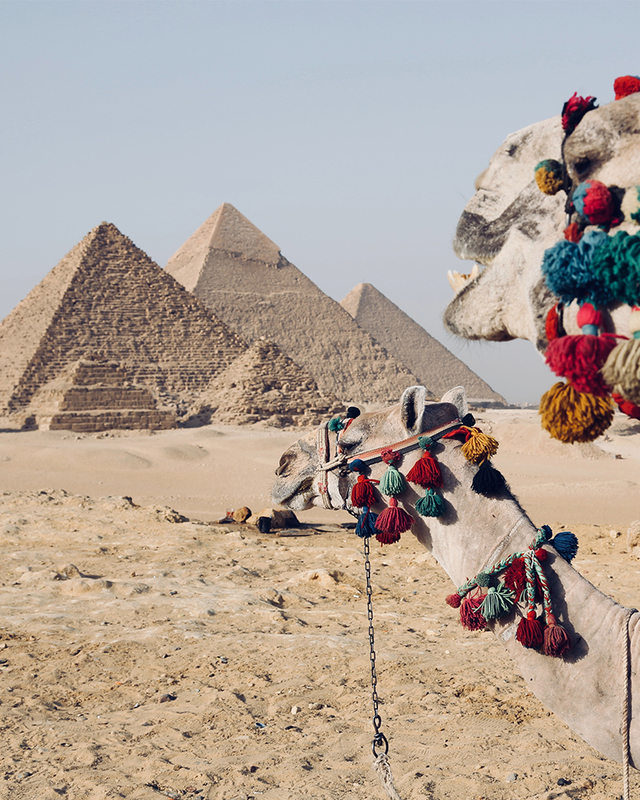 Tour operators are reporting a massive spike in Egypt visitor numbers for 2018, which is the tourism equivalent of buying up stock just before the dead cat bounce. If you want the pyramids more or less to yourself, 2019 might be your last chance for a long, long time. Check out: Intrepid Travel runs some great small group tours through Egypt. A couple of thousand years ago, Kyrgyzstan was a pretty hot place to be. Sitting in an ex-Soviet backwater, surrounded by high mountains and other countries ending in –stan, it was a Silk Road crossroads for hundreds of years. If you wanted to move stuff from Europe to China on the back of a yak, you came through here. Well, following the 2018 World Nomad Games, Kyrgyzstan is back on the world stage. Get ready for 2700km of newly marked trekking routes, unspoiled wilderness, and the joys of yurt accommodation. Best time to visit: April to June for wildflowers and mild temperatures. Check out: Dragoman has been running Kyrgyzstan overland tours since before it was cool. You could throw a blanket over Central America for 2019, because countries like Belize, Panama and Nicaragua are going to be on nearly everyone’s bucket list. But head a little further south and you’ll find Colombia. This place has boomed since the peace deal with the Farc army in 2016 (and, let’s be honest, the release of Narcos on Netflix). Now cashed-up travellers are swarming through Bogota’s microbreweries and the cobblestoned lanes of La Calendaria. Twenty three years after Pablo Escobar’s death, Colombia has replaced fat cigar’s and casual violence with hip architecture and slick cafes. Seems to be working nicely. Best time to visit: December to March. 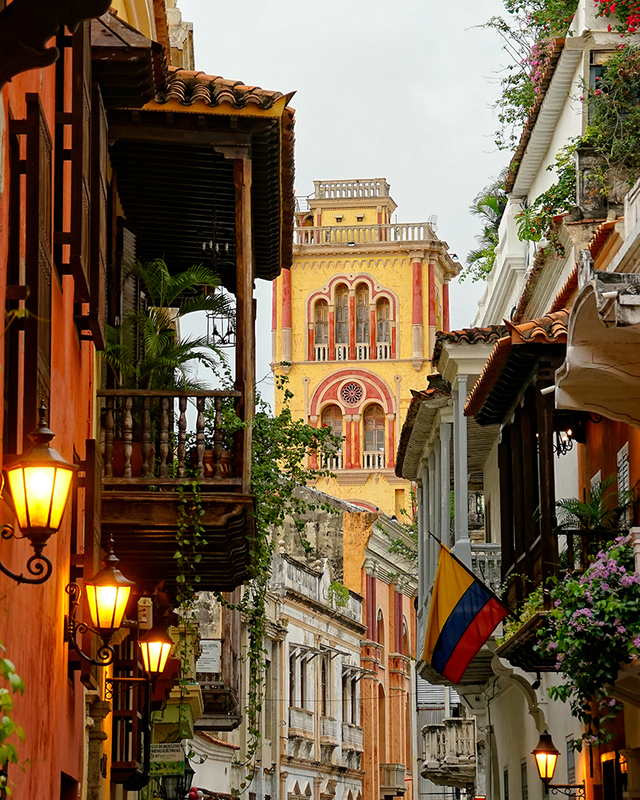 Check out: G Adventures runs a bunch of group tours through Colombia. Has anyone done more for a state than David Walsh has done for Tasmania? MONA and Dark Mofo haven’t just put Hobart on the map, they’ve kickstarted the Tasmanian economy. Visitor numbers grew again last year, and they’re set to continue. Big ticket items like Freycinet, Hobart and Cradle Mountain snag most of the tourists, but make some time in your itinerary for Pumphouse Point on Lake St Claire. Best time to visit: December to February are the peak months, but it’s pretty good year-round. Check out: Adventure Tours Australia are your best bet for Tassie tours. They’ve been doing it for years. They’re calling Slovenia the new Switzerland, which must irk the fondue-making Swiss tourism board no end. You can see why Slovenia though: Ljubljana is considered one of the best kept secrets in Europe, and Lake Bled and Lake Bohinj drag in massive crowds during summer. Pro tip: pick a shoulder season, like spring. You’ll avoid the crowds and see more wildflowers than a floristry convention. 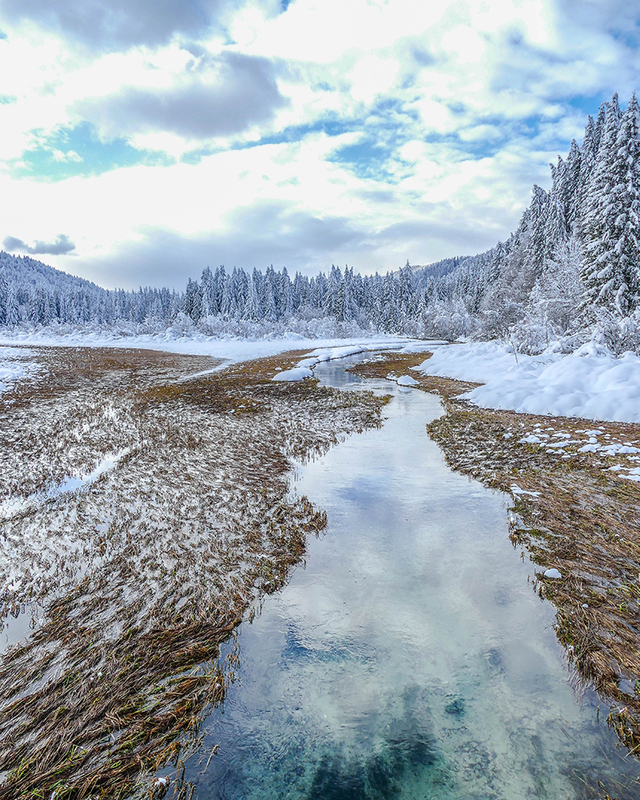 If you’re looking to ski, visit the Julian Alps in winter. Krvavec Ski Resort is a particular favourite with locals. Best time to visit: A shoulder month like May is perfect. Check out: Make sure you join a day tour in Ljubljana. Urban Adventures runs some crackers. For Australian and New Zealand travellers, Sri Lanka is like that neighbourhood bar you ignored for years, until one random evening when you stumbled in and realise that it's amazing. Well, the secret’s out. Traveller numbers are booming, and if you haven't already been, Sri Lanka is the number one spot you should visit in 2019. Cheap flights, amazing food (try the Tamil cuisine in Jaffna) and some kickass southern beaches. Consider this place the new Vietnam. Best time to visit: April to September for the east coast. December to March for the south coast. Check out: Large Minority’s Amazing Race-style Lanka Challenge. Like Egypt, Turkey is riding a tourism tsunami right now. 2015 and 2016 were dark years for the country, but travellers are flocking back in droves. 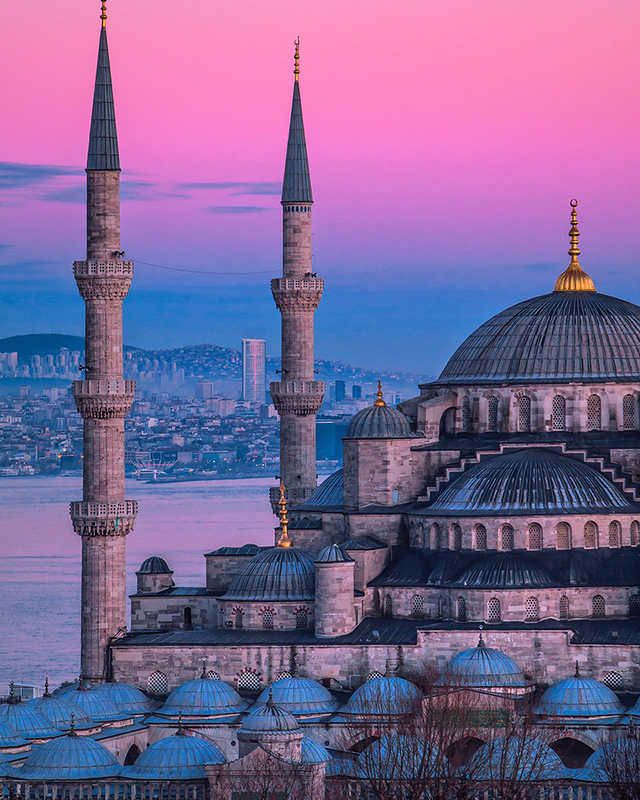 Intrepid Travel reports a 368% increase in Turkey bookings year on year, and Turkey’s overall tourism income jumped 31% in the first quarter of 2018. Woof. It’s also set to be one of 2019’s hottest bargains. Current exchange rates gets you around four Turkish lira for the dollar right now. That means a couple of bucks gets you a famous Istanbul fish kebab (balık-ekmek). Thailand, eat your heart out. Best time to visit: Shoulder seasons like April to May and September to November. Check out: Want to kayak over a sunken city? You can on this tour. Turkmenistan is sometimes referred to as ‘North Korea with oil’. It’s a weird ex-Soviet off-shoot nation, built largely around the personality cult of late President Niyazov, who died in 2006. He pretty much turned the capital, Ashgabat, into a shrine to himself, complete with rotating giant golden statue (there’s a little snapshot into his psyche right there). Turkmenistan is also the only place on earth you can find a raging infernal pit known as the Door To Hell. Tourism numbers have been rising for years, and experts reckon 2019 might be the year this little country goes mainstream. Best time to visit: The best weather occurs mid-March to May or September to November. Check out: Don’t miss a night tour to the Door To Hell. Now that we've sold you on Sri Lanka, here are all the best things to do there.